A Snellville couple tells Channel 2 Action News they were high on LSD when neighbors spotted them naked. But, they deny reports they fed their dog the drug too. “I lost myself, my mind and my body and lost track of who I was,” Nicholas Modrich told Channel 2’s Kerry Kavanaugh. Modrich and his girlfriend Jamie Hughes told Kavanaugh when they were high on LSD Sunday night, they also lost their dog. They had just adopted Oscar from the Gwinnett County animal shelter last week. “I remember a lot of paranoia. I thought I was dying,” Modrich said. The couple says it was the result of a bad reaction. 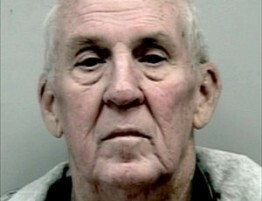 They say it got even worse when Modrich ran naked down Pinehurst Road in Snellville. Hughes, partially clothed, chased after him. Neighbors called 911. “When he went outside naked, I went chasing after him and I think that’s when the dog got out,” Hughes said. When officers arrived, they said they discovered the dog had been hit by a car and the couple needed medical attention of their own. “I do remember the cops questioning me in the ambulance about what we had taken,” Modrich says. According to the police report Kavanaugh obtained, the couple admitted to taking the drug. 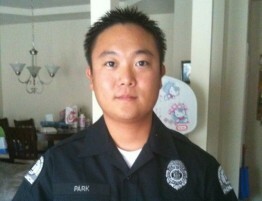 But the report said they told the officer they had also given acid to their dog. “I guess the story got twisted because somebody said we fed him LSD. We never did that. We were just concerned about where our dog was,” Hughes said. They said the acid was sprinkled on two red and blue gummy worms. They said they each ate one. But, they said the dog had none. Their attorney, Mike Puglise, said the couple is sharing their story as a warning about the dangers of drugs. “The message is clear: don’t do drugs. Look at what you are jeopardizing,” Puglise said. “The worst part of this is he got out under my watch because of my reckless drug addiction,” said Modrich. The couple faces minor drug and disorderly conduct charges. 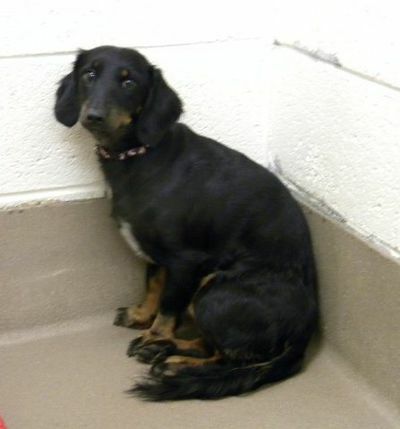 Snellville police have not charged them with anything related to the dog. Investigators said they are conducting a necropsy on the dog. They said they will be looking for traces of a gummy worm. If they don’t find any, they said they will test the blood. 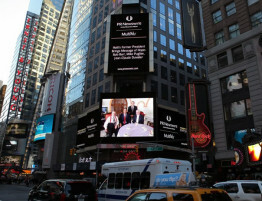 Attorney Puglise, Marger and Barr photographed with their client “Baby Doc” Duvalier in Haiti and displayed in the middle of Times Square in New York, City.